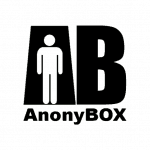 With the recent return of CISPA, I purchased an anonymous VPN account with PrivateInternetAccess. This system suited me fine for browsing, and had pretty good throughput, but soon caused some common problems. I have seven systems in my internal network. Some of them need to be accessible remotely (not possible through the VPN), some need to be anonymous only some of the time, and some need to be totally anonymized. I could have set up openVPN on each system, and configured each with an extremely complicated iptable, but it seemed like overkill. Adorama had these little linux-based NAS systems on sale for an amazingly low $15, so I bought 3 just on a whim. When I got them in the mail, the first project to spring to mind was what I’m calling: The AnonyBox. It is a stand-alone VPN client and SOCKS/HTTP Proxy host for my network. With it, I can simply set any machine or program that needs anonymity to use it as a proxy, and everything else runs as expected. I’ll detail the steps necessary to set up this stand-alone anonymizer in my next post. This entry was posted in Embedded Devices. Bookmark the permalink.